Many people less familiar with the offshore waters of the South Atlantic ask about this long swath of Blueprint priority going down the Atlantic. I’ve circled the general area in black in the picture below. It’s a particularly interesting area at the continental margin where a mix of currents and substrate support a rich and diverse set of species. Most people never get to see the beautiful and often crazy-looking species that live there—especially those that inhabit the ocean bottom. Luckily, the Okeanos Explorer recently finished a series of dives throughout the region. They were live-casting the video from the sub with commentaries from experts on what they were seeing. It was a ton of fun to watch and listen, and so impressive to see how rich some of the areas were with life. Plus, I really enjoyed learning about how the species down there adapt to deepwater habitats. Many different organisms, including a snipe eel, jellyfish, shrimp, and squid seen in the water during Dive 16 of the Windows to the Deep 2018 expedition. 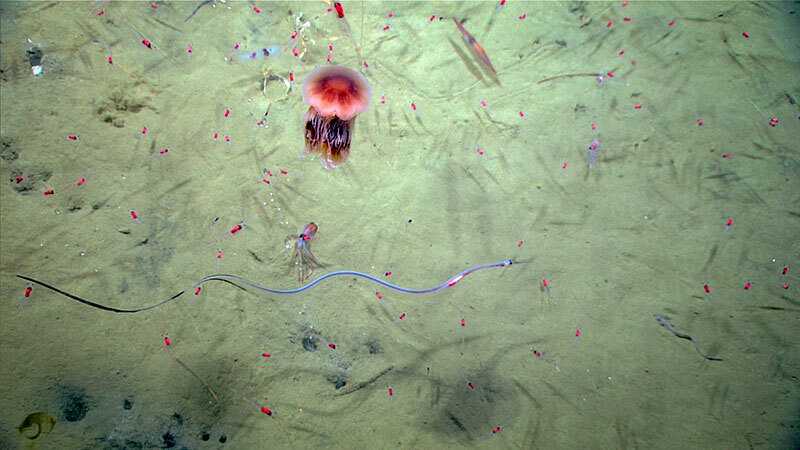 Image courtesy of the NOAA Office of Ocean Exploration, Windows to the Deep 2018. That picture above wasn’t just a lucky shot. That dive was just thick with shrimp, snipe eels, and squid. If you’d like to look over some of the pictures and read some cool stories about what they found, check out the daily updates here. Rua coordinates science for the South Atlantic and Southeast Blueprints. 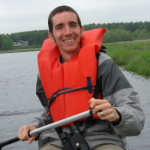 He helps integrate feedback from users, local experts, and ongoing research to improve the Blueprints.